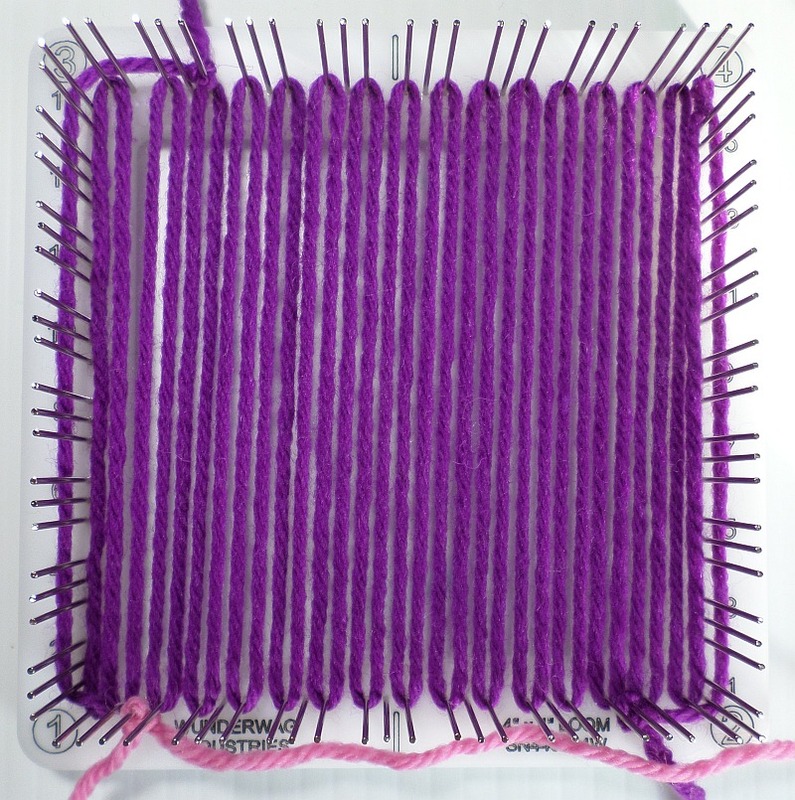 Second color’s tail is tied out of the way and I’m ready to begin weaving at Cr2. Because I decided to work in the L1 tails as I wove, I had to do some maneuvering to get it to work (half-figure-eights at Cr1 and Cr4). The warps in this pattern kept getting pulled out of kilter, and I wondered if it might be better as an overshot-alike weaving. (Haven’t done any of that in almost two years, so another re-adventure awaits.) 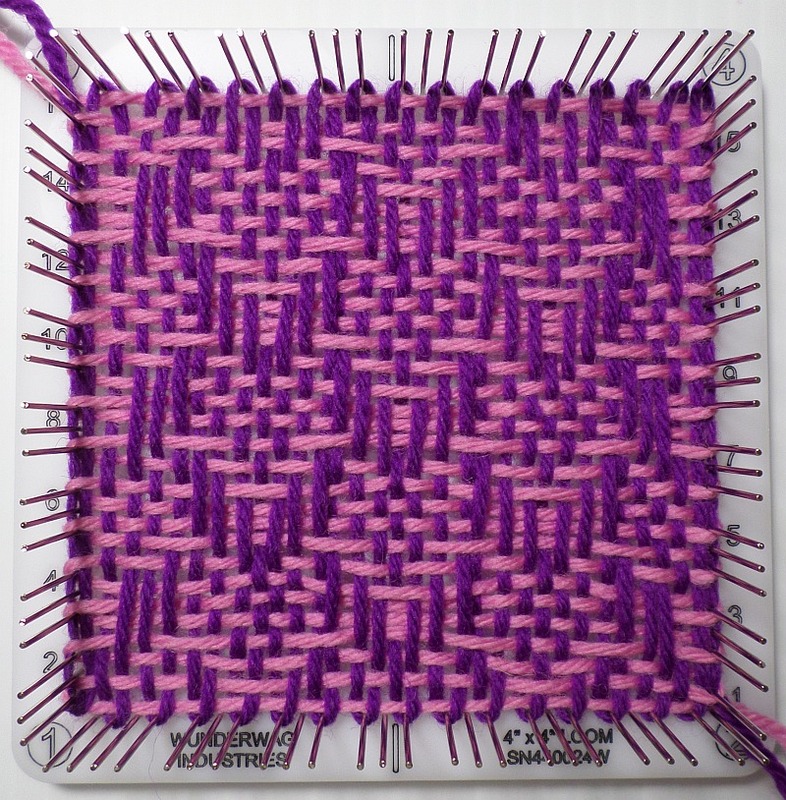 Remind me to warp in a light color and weave in a dark color if I want the pattern to look the same as it was designed. The outcome is interesting, but not what I expected. 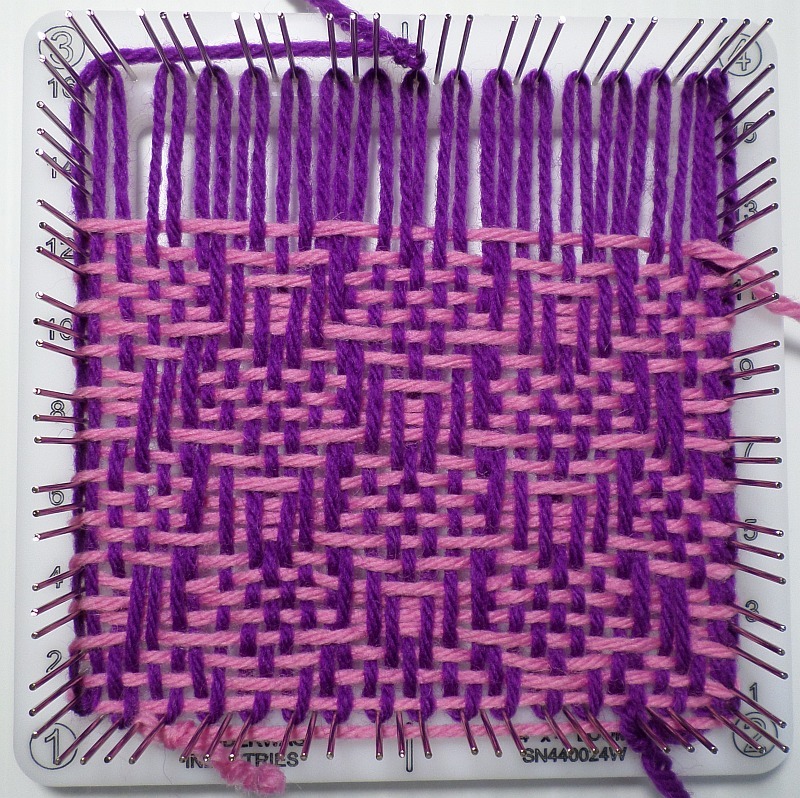 Every now and then, as I was weaving this unusual square, I had the feeling that I was running with the big dogs. Don’t tell my pin looms I said this, but sometimes I think of them as junior looms. I love ’em and I’m amazed by their capabilities, so it’s OK to be a junior loom. 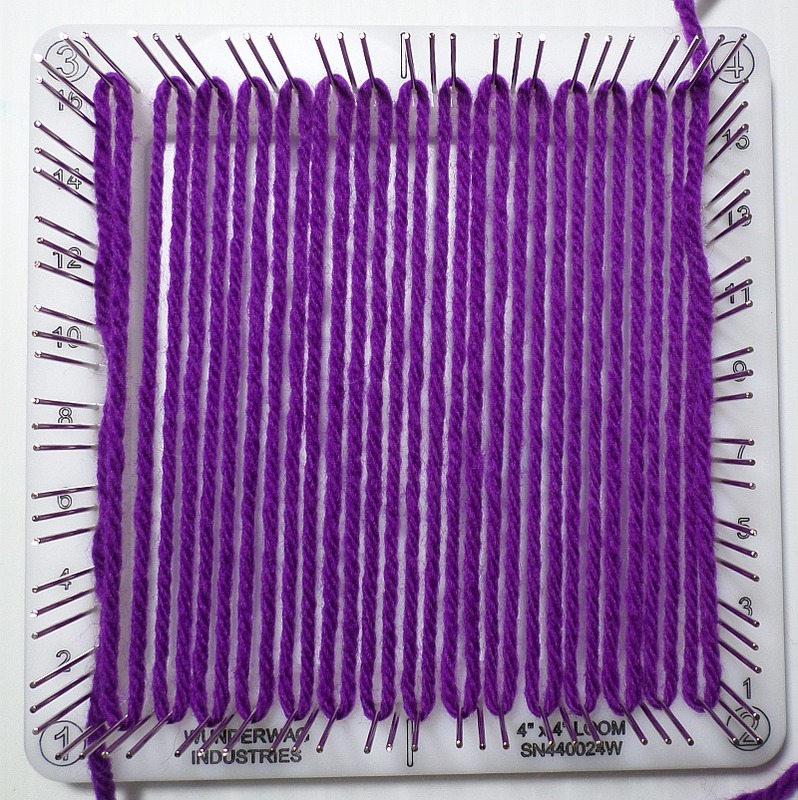 I’m intimidated by the more complicated looms. Intimidated, yes, but also attracted.